"To my favorite person, Happy Birthday, Age is strictly a case of mind over matter. If you don't mind, it doesn't matter." 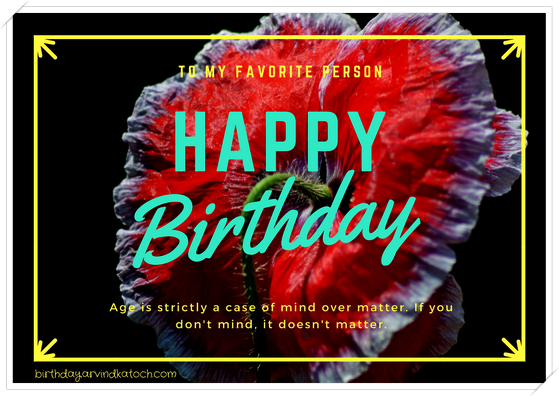 About Birthday Card- A birthday for older people, which says that age is just a matter of mind, when we don't think about it, then it is no issue. Beauty of back side of a flower is used to show that every side of life is beautiful, just enjoy it.